Ms. Sartin attended the University of Oklahoma, where she received her Bachelor of Business Administration in Finance. She graduated from the Management Development Program at Conoco, Inc. and went on to earn her Juris Doctorate from the University of Tulsa, College of Law, where she served on the Energy Law Journal staff. She spent 13 years with Texaco in various capacities, most recently as the Manager of Supply and Distribution for the Natural Gas Liquids Group. Ms. Sartin is an active volunteer in the Tulsa community where she has served as President and Chairman of the Gilcrease Museum Association and a Court Appointed Special Advocate. She is past President of the Monte Cassino PTO and the Booker T. Washington Foundation for Excellence. 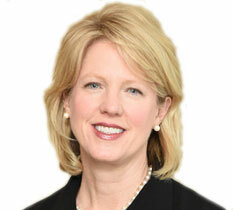 Ms. Sartin concentrates her practice primarily in the areas of business law and estate planning.